An aurora is a mysterious and unpredictable display of light in the night sky, predominantly seen in the high latitude (Arctic and Antarctic) regions. Auroras in the northern hemisphere are called aurora borealis or northern lights, and in the southern hemisphere aurora australis, or southern lights. Auroras can appear as long, narrow arcs of light, often extending east to west from horizon to horizon. At other times they stretch across the night sky in bands that kink, fold, and swirl, or even ruffle like curtains. They can spread out in multi-colored rays usually green but often showing shades of blue and red, and sometimes yellow or white. 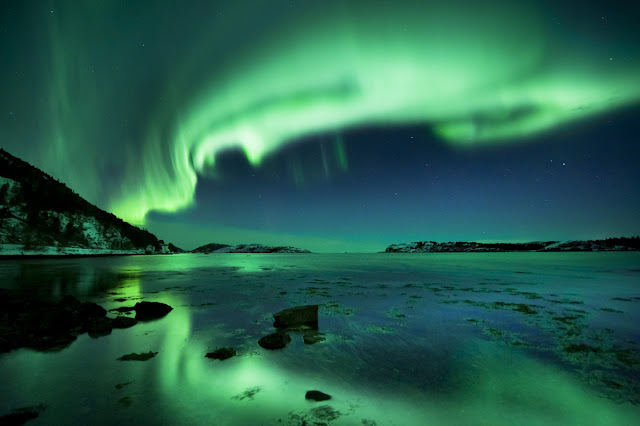 Auroras are caused at altitudes of 100 to more than 400 km (60 to more than 250 miles) by fast-moving energetic particles (electrons and protons) from the Earth’s magnetosphere, the region of space controlled by Earth’s magnetic field. 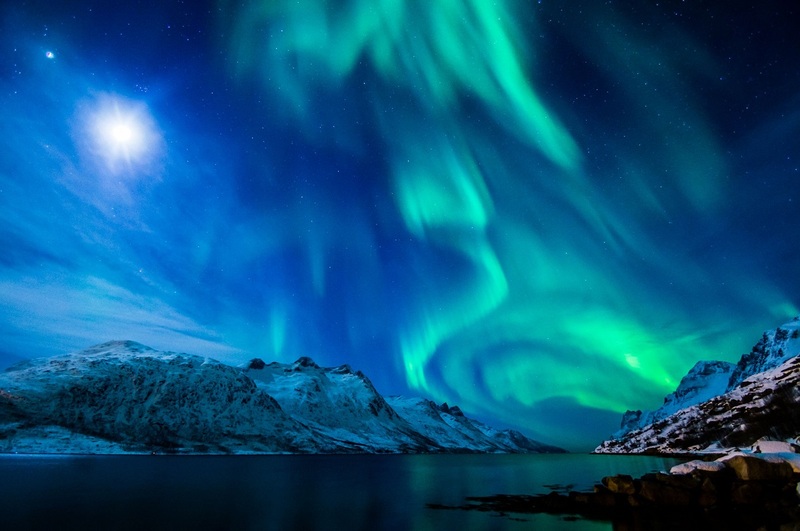 When a large number of energetic particles enter the upper atmosphere and bombard the gases in the atmosphere, causing them to emit enough light for the eye to detect, giving us beautiful auroral displays. The color of the aurora depends upon how fast the electrons are moving, or how much energy they have at the time of their collisions with upper atmosphere gased (Oxygen and Nitrogen). 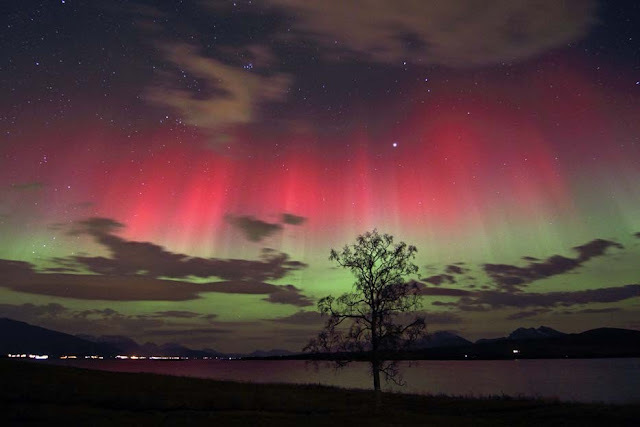 High energy electrons cause oxygen to emit green light (the most familiar color of the aurora), while low energy electrons cause a red light. Nitrogen generally gives off a blue light. The blending of these colors can also lead to purples, pinks, and whites. The different shapes of auroras are a mystery that scientists are still trying to unravel. The shape seems to depend on where in the magnetosphere the electrons originate, what causes them to gain their energy, and why they dive into the atmosphere.